Using paid signature gatherers, the Arkansas-based retail giant plans to secure signatures from 15 percent of eligible voters in any given area. State law then will tie hands of city council members, who will be forced to either approve the store construction proposal, or put the question to a special electoral test, often at substantial cost to the community. Wal-Mart officials have grown weary of constant civic combat, which comes from those who worry about existing small businesses, and unions, who are critical of the retailers’ low employee pay . The company also utilizes the initiative process to fend off environmental lawsuits; once their ballot initiative qualifies, litigation regarding inadequate mitigation is off the table. San Diego city officials this year repealed the city’s own superstore regulations when confronting an election that could have cost as much as $3.4 million. How many millions of dollars does Arroyo Grande reap from Walmart? How does AG intend to replace those $$ when Walmart leaves to build a super center outside of AG city limits? Love ’em or hate ’em, a Walmart store generates huge amounts of sales tax revenue for a community. I wonder if Grover Beach would be open to building a new Walmart Super Center where the strawberry field is now at 13th & Highland? The headline of this article should be, “Walmart uses the democratic process to get projects completed”. Good for them. Obviously you are one of the people who won’t have to pay for the millions in traffic improvements but “great balls o fire” you get to save a nickle on a roll of toilet paper. We hear the cries of how the community will be ruined every time a large chain tries to come into the area. Remember how everyone was in an up roar when Costco was coming into SLO? Well that parking lot was sure full on opening day. How many of you will actually shop at Wal-Mart once it is in your community? I bet more than you would like to admit. The reality is, people demonstrate they want Wal-Mart by shopping there. If Wal-Mart is so bad then let me come in, convince the entire community to boycott, and then they will leave. They would not stay open if the store did not make money. They are to smart for that. 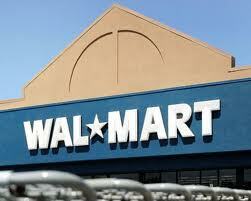 As long as Wall-Mart follows the legally established rules to do business, what is the problem. This is still America, isn’ it. They are not following the law of common decency and respect of people , communities or the American way of life . Also , with their army of Death Star Lawyers they are bullies . With all their money and lawyers they make the law for themselves . Did you not read this article ? Yes . this is the new America ! For the corporation by the corporation . I liked it better when it was for the people by the people . I guess I am old fashion that way . WHAT WOULD JESUS DO ? DO NOT SHOP AT WALMART . DO NOT DRIVE TO PASO OR AG TO SHOP AT WALMART . Good lecture and so true, thanks. And this is Potterville/Walmart/America. Happy Black Friday, Atascadero. Seriously…common law of decency in SLO county? Local politics are getting a taste of their own medicine with regulations and laws they use under “common decency” shoved back into their faces. BTW where should we shop? Target? Kmart? Trader Joe’s? Costco? guess their OK cause their not really big corporate stores and their presence doesnt affect traffic locally . There are a lot of things about wally-mart I could say and I may still says later . For now just remember . Wal-Mart doesn’t want local opposition to block their expansion plans. Should any company really be telling us what will happen in our communities? Little confused. If Wal-Mart doesn’t want local opposition to block their expansion plans, then isn’t it kind of stupid to put it to a vote of the people?? The point is that WM could force communities to shoulder the expense for special elections even if there is no chance for WM to win the election. All they need to get an initiative on the ballot would be signatures from 15% of the registered voters. And I would bet that more than 15% (50%?) of the regulars at this site would sign that petition. A straw poll of us might be revelatory. Lick the oppressor’s boot. The cities, counties, and the state have had decades to come around and play nice. They had decades to craft minimalist boundaries and policies that would have benefited all concerned. That time has came and gone. I think that they have pissed off the 800lb gorilla in the room and now the gorilla is going to get his way. Something tells me that the city of Arroyo Grande better figure out a way to replace the millions of $$ that are going to disappear when Walmart relocates. Another vindication of “the invisible hand of the market”. The manipulation isn’t usually this visible. Wal mart doesnt have to worry about any elected officials in Atascadero because they are so infatuated with Wal mart that they would sell Wal mart their first born child. The citizens in A-Town are about to get a taste of whats its like to save a nickel on a roll of toilet paper while having to pay thousands for the traffic improvemnents that Wal mart promised to pay but who are now trying to weasle out of. Wal mart loves to stick it to the taxpayers !!!! These sorts of things happen when you invite a vampire in. Walmart be ready to retrain local retailers to become greeters. There are few products a Walmart will sell that any of Atrashcaderos small local retailers currently have as the town dwindles away. I do envision a Walmart pounding the last nail into Kmarts well deserved coffin though, and hopefully retraining its “team members” what customer service is supposed to be all about.